Whether you are an existing member of our community or you are contemplating joining us, thank you for visiting our website and may this be the first of many visits to come. Choosing an educational institution for your child and family is one of the most difficult decisions one can make as a parent. It is a tremendous responsibility, and as an educator and parent, I share that sense of responsibility for the future success of your children. At Silverline, we understand that we must educate our students so that they are fully prepared for a future that is yet unknown. Reflecting back on the tools that were successful in our own experience is simply not good enough. We must provide our students with the experiences, skills and attitudes necessary for them to be productive and successful members of the global workforce of the future. In order to truly fulfill our responsibility to our students, we must ensure that we are supporting their future learning needs today. We must leverage technology in order to maximize the effectiveness of the personalized learning plans already in place. From the youngest age, we must provide practical and hands on math, science and engineering experiences that prepare our girls and boys for work in these fields. We must engage and develop our students’ creativity through the full integration of the arts in our academic program. And we must require that all Silverline students internalize the importance of collaborative teamwork and sportsmanship. It is my personal responsibility to ensure that these objectives become the sustainable reality of our school for years to come. 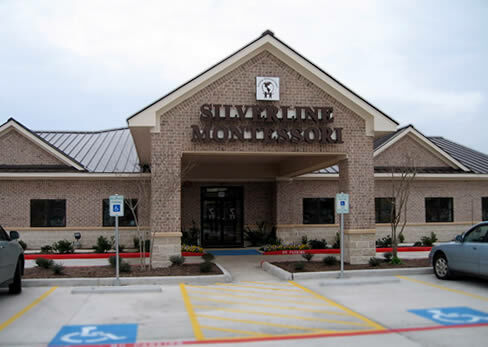 I invite you to visit our campus, meet our students and faculty, take a personal tour and experience Silverline. We pride ourselves on the accomplishments of our students, we challenge ourselves to prove our excellence everyday and we value the collaborative contributions of every member of our community.